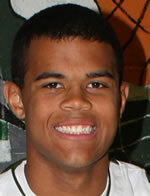 Jackson selected to All-State basketball team. Jackson named All-Region POY u0026 NTL West MVP. Hornets fall to Delone Catholic. Hornets fall to Loyalsock in District title game. Hornets advance to District title game. Hornets top Canton 61-44 in District play. Hornets complete perfect NTL West season. Jackson's 22 points lead Hornets past Troy. Hornets capture NTL West title with win at Williamson. Pietropola, Prough lead Hornets past Tigers. Hornets top Wyalusing to improve to 15-1. Hornet basketball cruises past Williamson. Hornet basketball tops Mansfield on the road. Hornet basketball tops Liberty, 60-45. Hornet basketball crushes North Penn, 77-35. Hornets drop title game to Lewisburg. Hornets hang on for win vs. Montoursville. Boys bball rallies past Canton to remain undefeated. Pietropola drops 20 to push Hornets over Towanda. Jackson's 25 points lead Hornets past NEB. Boys Bball deafets Muncy in opener. Barnes and Rogers named Athletes of the Year. Reese and Jackson named to All-Region bball team. Reese, Jackson headline NTL West All-Star Selections. Hornets end season with loss to South. Hornets capture NTL West title. Prough's dunk pushes Wellsboro past Williamson. Hornets come up short against Towanda. Hornets blow away Northeast Bradford. Athens ends Wellsboro's undefeated season. Hornets outlast Mansfield in double overtime. Hornets Boys Basketball still undefeated. Hornet Boys Win Holiday Tournament. Hornets overcome turnovers to defeat Coudersport. Hornets win thriller in South Williamsport. Wellsboro's Jackson caps career with all-state honor. NTL West boys rally for win. Wellsboro's Jackson headlines NTL West All-Stars. Playoff basketball here at last. Athens top Canton, forces playoff for NTL East title. Knights run past Wyalusing; Wellsboro, Williamson, Sayre, Athens pick up wins. Wellsboro edges Williamson to clinch NTL West title. Notre Dame falls to Watkins Glen. Wellsboro tops Mansfield; Troy, Athens, Towanda, Williamson, North Penn, Sullivan pick up wins. NTL race tightens up as Canton downs Athens and Towanda wins. Athens boys rally to defeat Towanda; Judson gets 100th win for Waverly. Towanda notches win at Canton. Sayre holds off Troy rally; Athens, Canton, Wellsboro, Williamson, Towanda, Mansfield win. Towanda rallies past Sayre, ND tops Watkins Glen, Athens, Liberty, Wellsboro, Canton, Waverly, Sullivan County pick up wins. North Penn, Blairsville to meet in North Penn Holiday Tournament girl's final. Towanda wins in 2 OT; Wellsboro rallies past Canton. Sayre downs North Penn; Canton, Wellsboro, Mansfield and Williamson get wins. Wildcats pull away from Mansfield; Sayre, Liberty, Canton, Towanda, Wellsboro pick up wins. Hillson's 48 lead Mansfield to comeback win over Canton. Sullivan, Mansfield reach Williams Auto Group tourney final. All-Region boys' basketball team named. Wellsboro, Mansfield win, will have playoff Friday. Mansfield rallies past North Penn. Athens stays unbeaten in NTL East play. Athens ends Mansfield's 29-game home win streak. Wyalusing's Johnson scores 50 in win over North Penn. Cody Pickett's last-second three lifts Wyalusing to win.